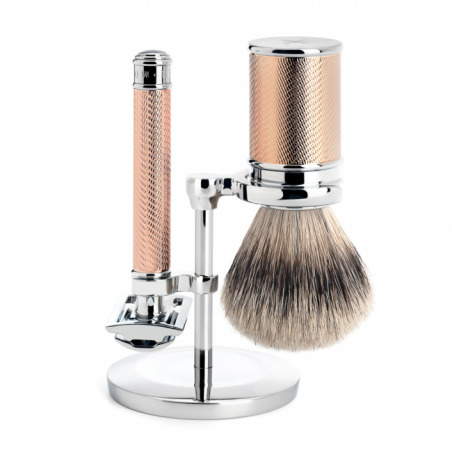 - Chrome razor and brush stand. Perfectly balanced chrome stand allowing for the brush to be stored whilst not in use in ideal conditions. 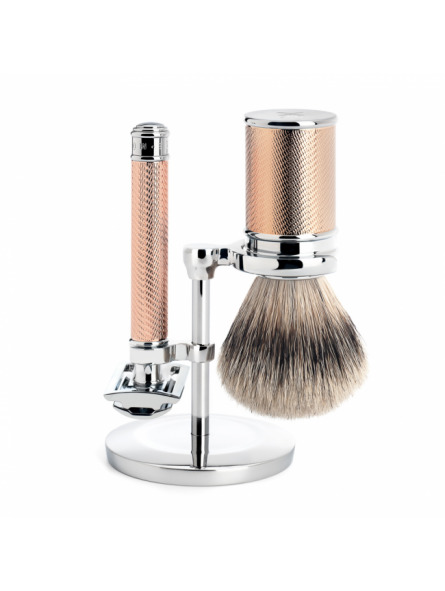 - R89 Rose Gold closed comb razor. Very precise and ergonomic razor. The Mühle design combines superior quality metal (covered in chrome) with an exquisite finish and engravings on the handle. The handle is finished in rose-gold and allows for an easy grip. Length: 97mm / Weight: 68g.